Duralex are currently rolling out our exclusive Colour Display Units. 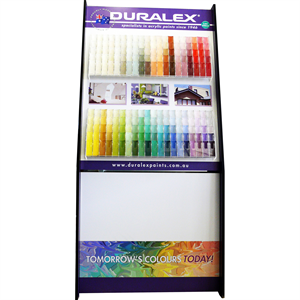 The displays work in conjunction with the Duralex duraTINT Machine Colourants and Colourplus Formulation Search Program. Display Units are available as Floor Stands or Wall Mount. We are now offering a total stand-alone package.